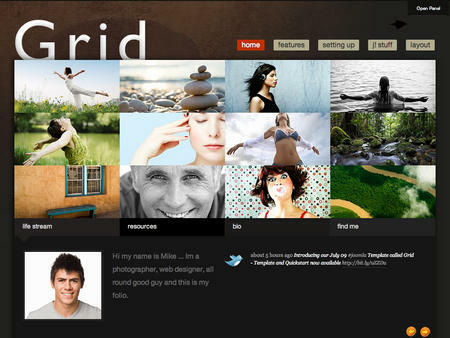 Elegant new JB Grid template for Joomla. Produced in the studio JoomlaBamboo - based on this template, you can create a wonderful blog, portfolio, or e-zine. The template used colorful, earthy colors. Design intuitive, practical. As there are many options of color schemes of this pattern, it will provide you with all the template JB Grid, which attracts not only professional creators of the site, but also beginners. Perhaps I have not met a single template for a site of this type, having such a great opportunity to set up a unique design.